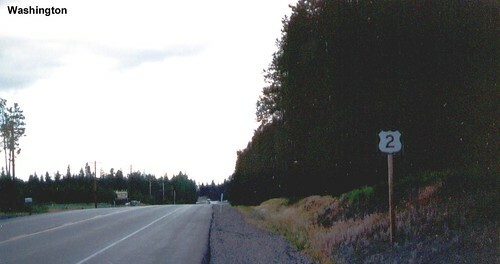 US 2 enters Washington at Newport. 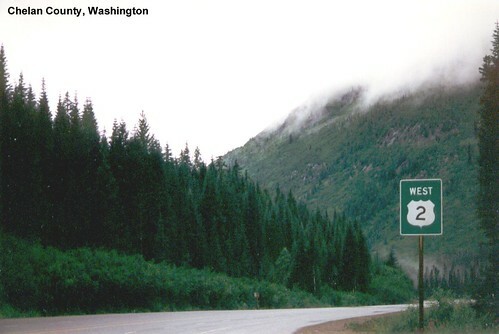 US 2 passes through evergreen forests in easternmost Washington. 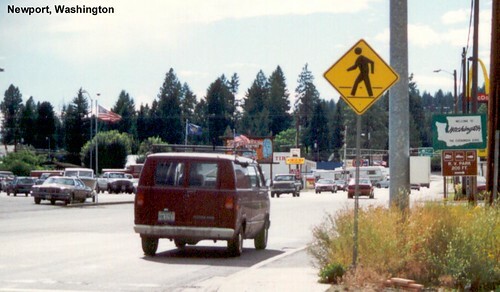 US 2 heads west after departing Spokane. 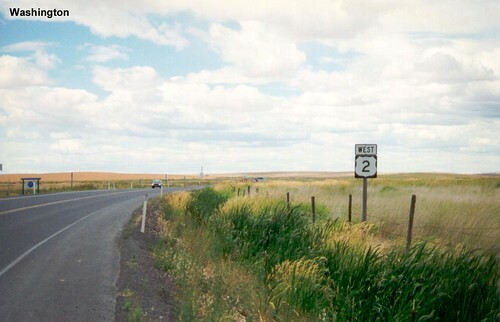 In eastern Washington US 2 passes through miles of grassy farmland. 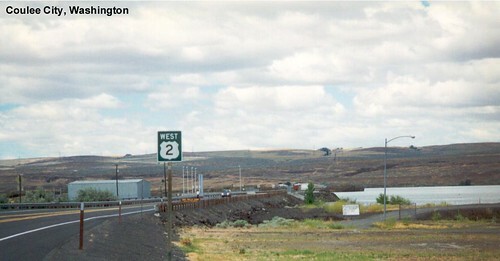 US 2 in Coulee City. Continuing further west, the landscape becomes much more rugged and not what I expected in the Pacific Northwest. 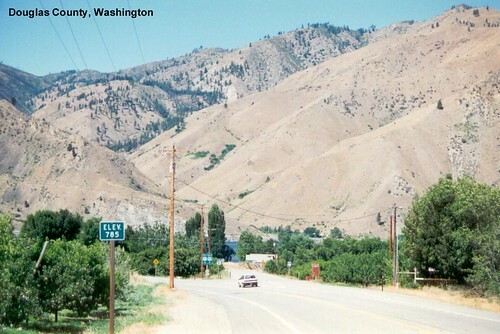 US 2 climbing out of Moses Coulee in Douglas County. The mountains appear as we approach the Columbia River. 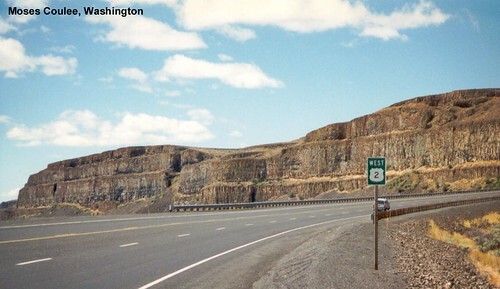 Although US 2 has been relatively flat for miles, this elevation sign marks the beginning of the descent into the Columbia River Valley. US 2 heading down into the valley. US 2 descends over 2000 feet into the river valley. 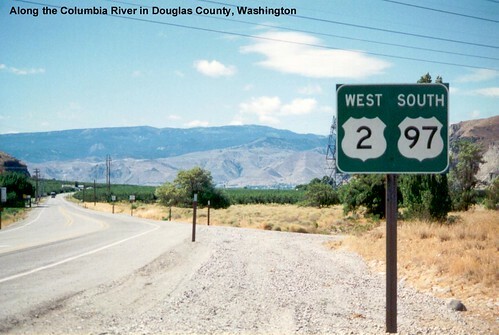 US 2 is multiplexed with US 97 as it follows the Columbia River south. 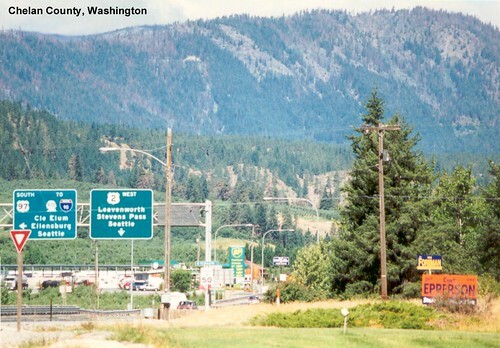 US 2 and US 97 split as US 2 heads back into the mountains. 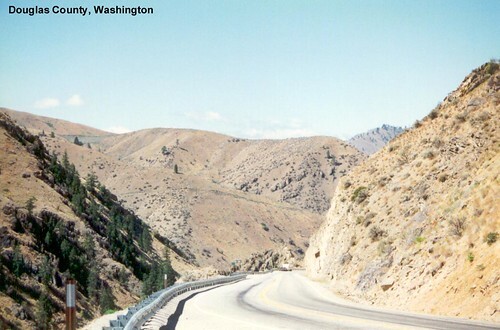 US 2 heads through the Cascades. 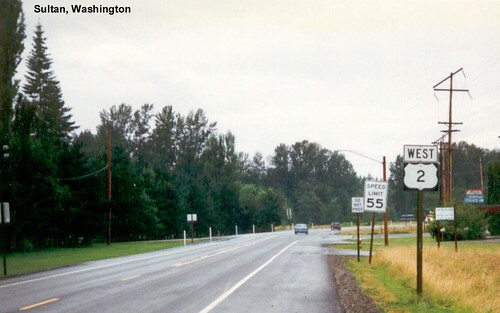 US 2 in Sultan, Washington. 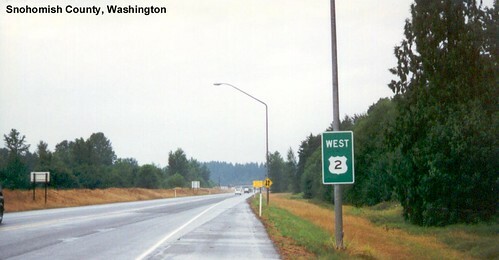 US 2 in Snohomish County.